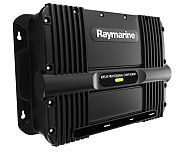 Engineered for serious anglers, the CP570 sonar module bring best-in-class target separation and high resolution CHIRP sonar imagery to Raymarine multifunction displays. Using a wide spectrum of frequencies and greater sensitivity the CP570's advanced CHIRP transceiver can see through dense schools of baitfish, identify thermoclines, and simultaneously target desired game fish. Rated for offshore use and rough conditions, the CP570 intelligently filters out unwanted noise while producing high resolution fish targets and reliable bottom tracking. 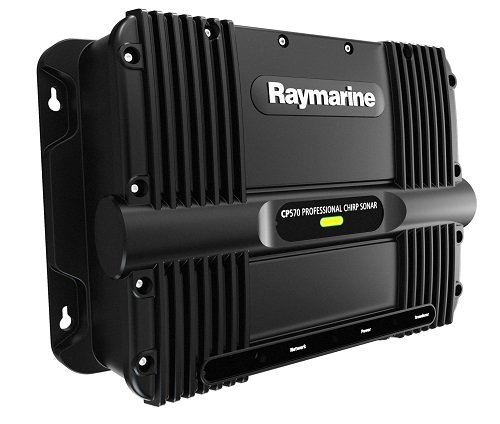 For the professional angler the CP570’s two fully independent sonar channels deliver faster target identification and up to 4kW of combined output power.